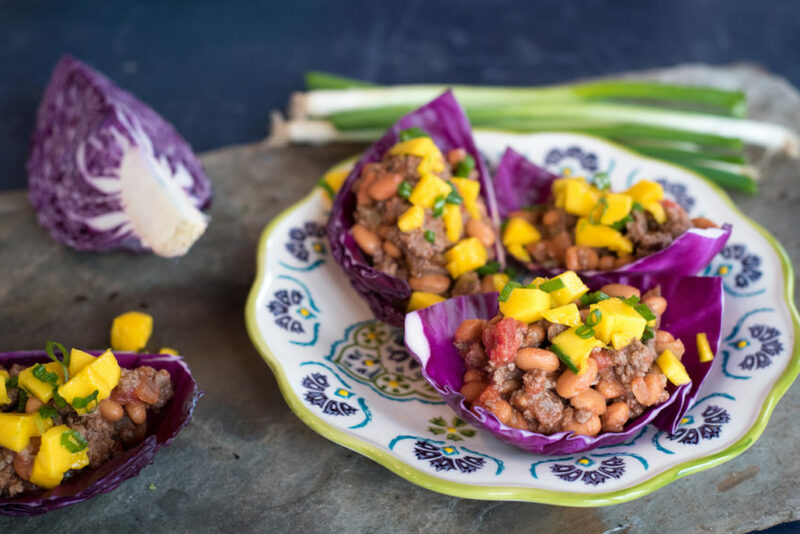 Red cabbage is my favorite swap for a taco shell. Still just as crunchy and flavorful. 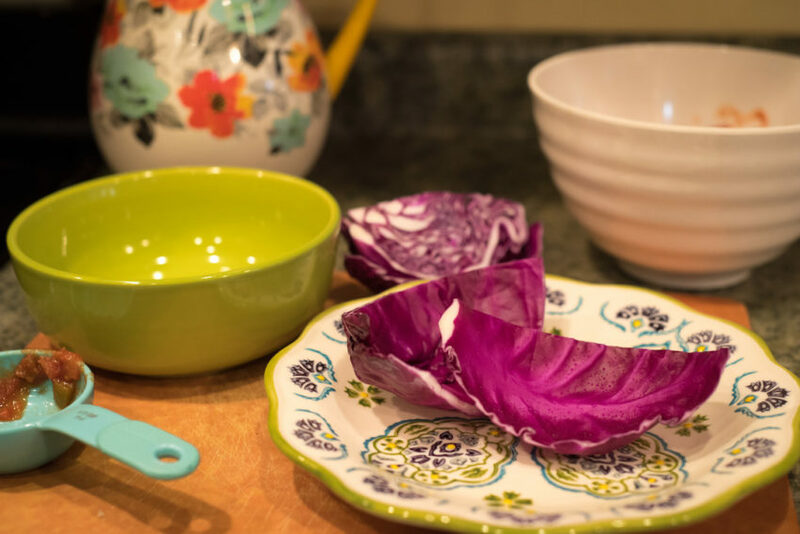 If you’ve never cut cabbage into a shell or cup – it can seem like an event, but it’s actually really easy! Here is a little 60-second trick that makes it super simple. Once you’ve made that swap, it’s not just that we are trading calories and processed carbs….it’s that we are changing our tastebuds. We are one step at a time moving what we crave to something healthy, whole, and nourishing. 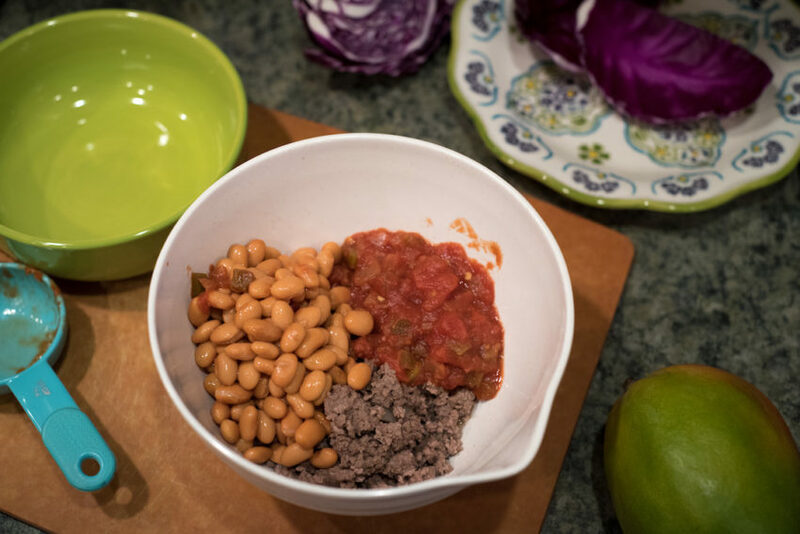 So, take that pre-cooked and seasoned ground beef, and pair it with black beans, pinto beans, kidney beans…whatever are your favorite! And add in mild salsa. 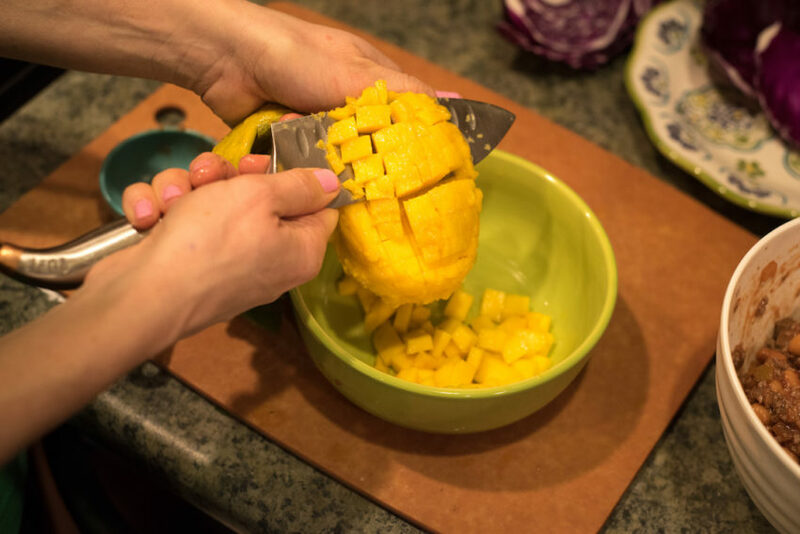 Then you can cut off the diced mango straight onto the wraps, or into a bowl…or just mix the mango salsa on your cutting board! 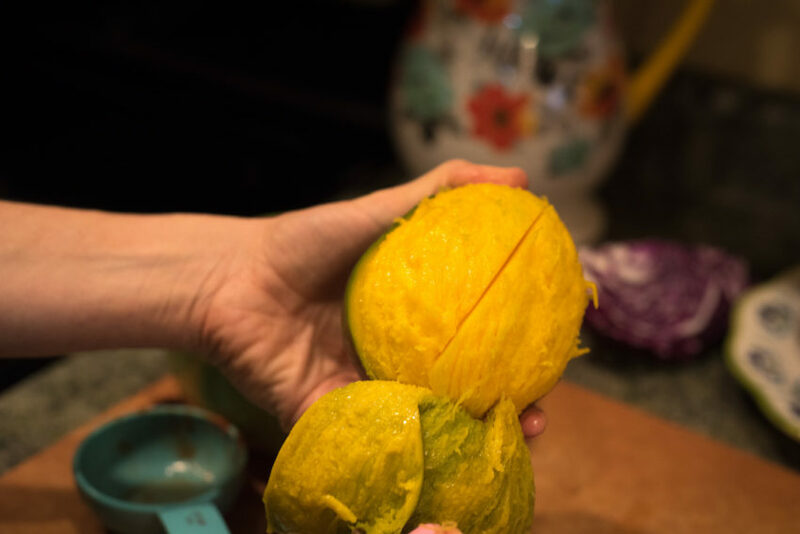 A sweet bite of mango and lime adds a TON of flavor…and this one is only 3 ingredients. Mango, lime, and green onion! Top those wraps with the salsa – and you have a yummy lunch or dinner. If brining this to work, just keep the beef separate, and heat it quickly. It’s an energizing and fulfilling lunch. Bonus: they are gorgeous!!! 1. 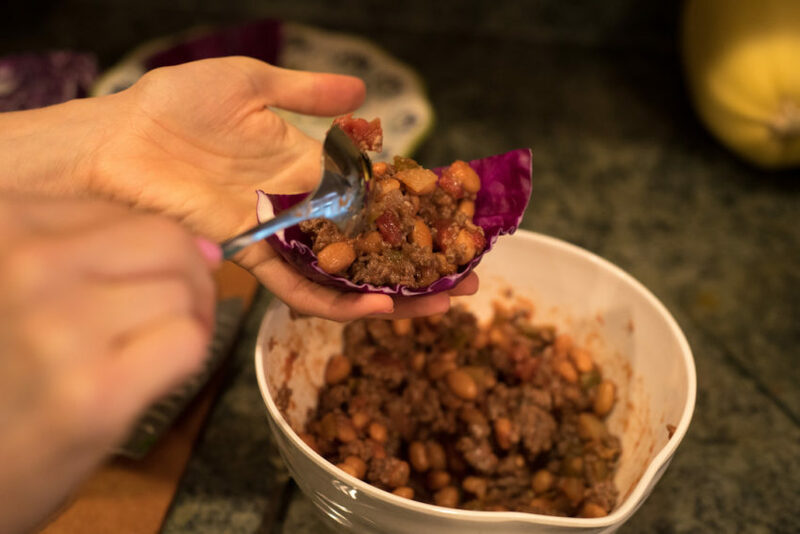 If your ground beef was precooked and stored in the refrigerator or freezer, give it a quick reheat: in a saucepan, add ground beef, salsa, and beans. Add a sprinkle of sea salt if needed. Cook on medium just until warmed, about 5 minutes. 2. Scoop 1/3 of beef mixture into each cabbage cup. 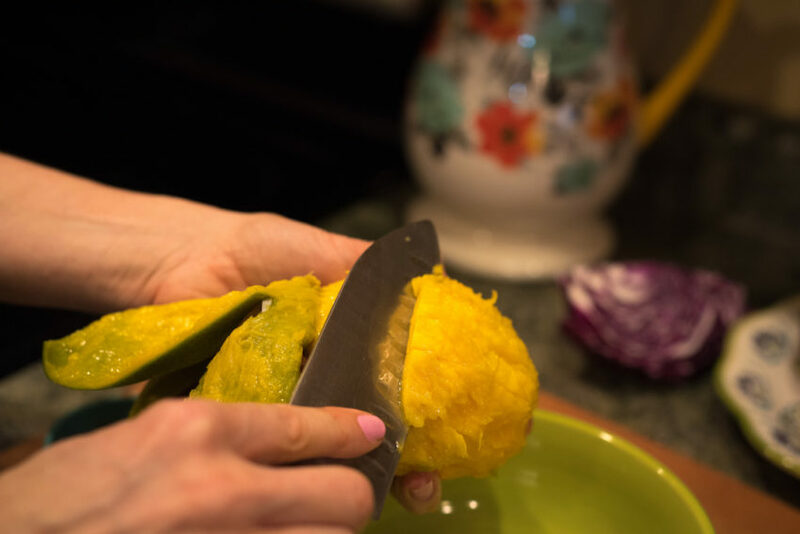 Divide diced mango and sliced green onion among the cabbage cups, sprinkling it on top. 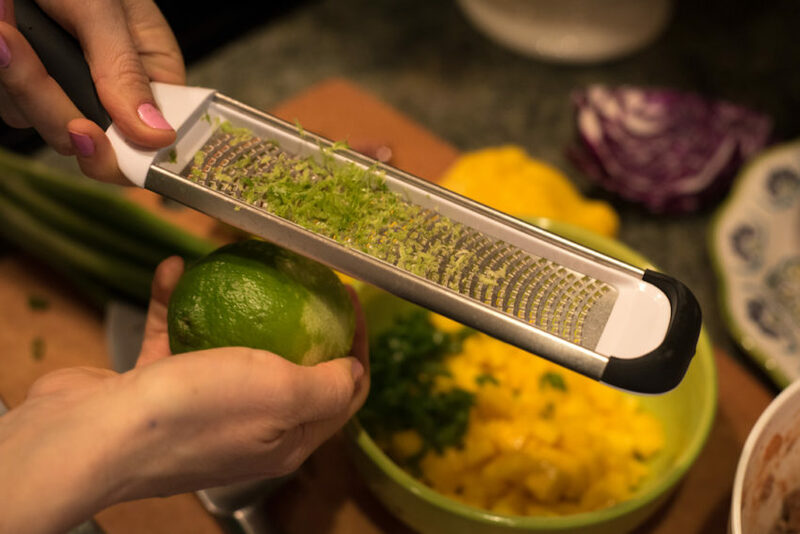 Add lime zest and a squeeze of fresh lime to each. 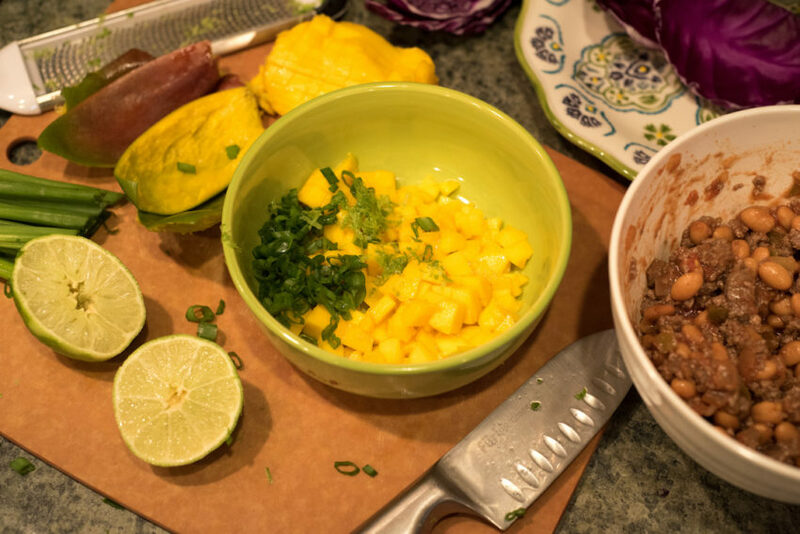 If you’re making a double batch, mix mango, green onion, and lime into a small bowl, then top each cabbage wrap. Enjoy! – if you’re taking this to lunch at work, keep the cabbage and mango salsa separate. Wait to heat the ground beef mixture until it’s lunch time, and the build the wraps there. This recipe transfers easily and does not get soggy – red cabbage holds up well! 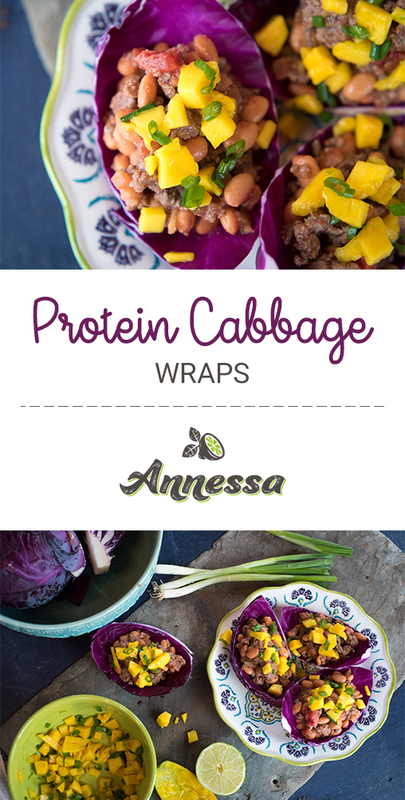 – red cabbage makes an excellent “cup” for protein to fit into, but feel free to use lettuce as a wrap too!